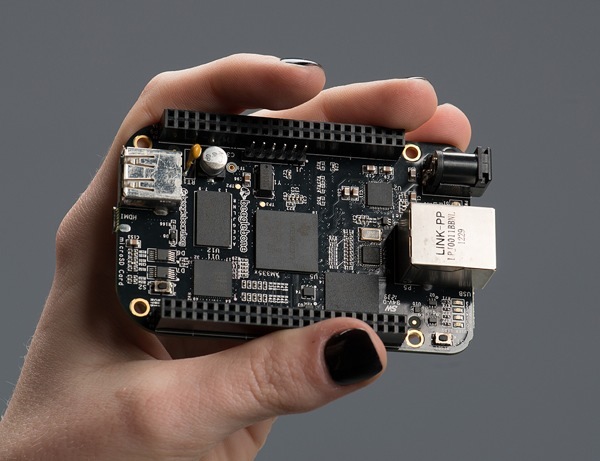 NEW PRODUCT – BeagleBone Black « Adafruit Industries – Makers, hackers, artists, designers and engineers! 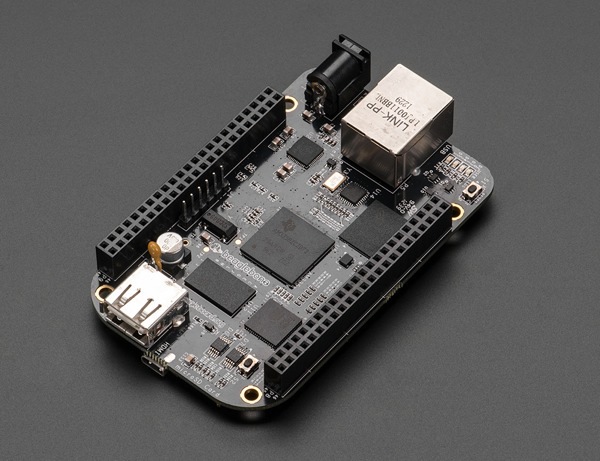 NEW PRODUCT – BeagleBone Black in stock and shipping! We have them here and these ship immediately while they are in stock. 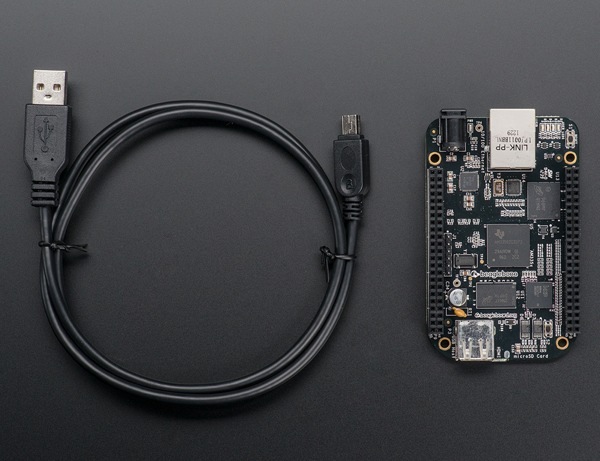 If you liked the BeagleBone, you will love the next gen BeagleBone Black! With a blistering 1GHz processor, 512MB onboard DDR3 RAM, built in 2GB storage with pre-installed Linux operating system (no microSD card required! ), and best of all, the addition of a MicroHDMI connector for audio/video output. This is a ultra-powered embedded computer that can fit in a mint tin. They do look nice. I see they are already gone. How many were in the first batch? A mere 3.5 hours after the post and the site is showing that restock is expected in one or two weeks. Did they go that fast? Wow! I really like your products but I’d guess that about 20% of the time when I’ve wanted to place an order, at least one of the items I on my list was out of stock. This ‘lean’ inventory sends me elsewhere more often than I’d prefer from a first choice vendor. Did these all sell out in 5 hours? I got the email notification at 2:39 PM EST and when I click on the "In stock and shipping now" link above the product page says it’s out of stock and sign up to be notified when it is in stock. Wow, these sure sold out fast. I hope more arrive soon. I ordered one from Digikey before this page went up, so I wonder who will resume shipping first. It’s too bad the board doesn’t support full HD (1920×1080) since they bothered to put hdmi in it at all. That doesn’t seem too much to ask since it’s just 2-3x the resolution of a 1980’s PC with 1/10th of the cpu power if that. This is the one area where the board falls behind the raspberry pi. Actually I’m not sure what to think of the on-board EMMC. I like the RPI’s approach of having all the memory completely on the SD card, That allows assurance of removing all private data from the board, just by popping the card out. I could imagine doing that for international travel, for example. Does anyone know why none of these boards have real time clocks? I saw some claim that they are expensive, but I don’t understand, a cheap digital watch costs less than a dollar and that includes a display and everything. I wonder if it’s possible to program a PRU in this board to act as a clock using a tiny amount of battery power, while the rest of the board is turned off or at some very low-powered idle. The clocks themselves are not too expensive. Designing the hardware to include one, with its supported components, as well as having a battery backup all while making it fit on the board. 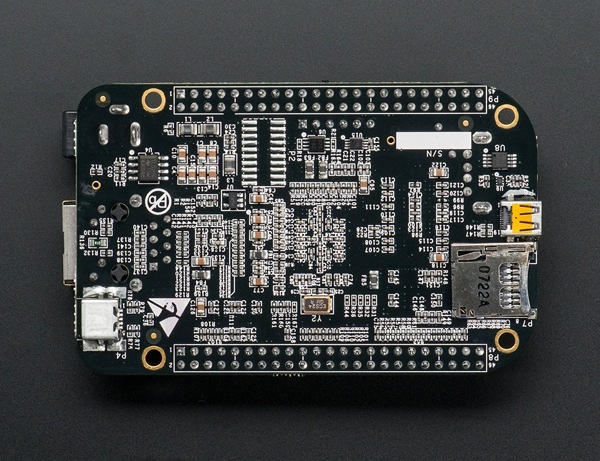 So, just imagine what the BeagleBone “Gold” could do! Woo hoo, I got shipping notice from Digikey, so Adafruit will presumably also be getting boards if they haven’t already gotten them. Tom Burke #7: I love the song. 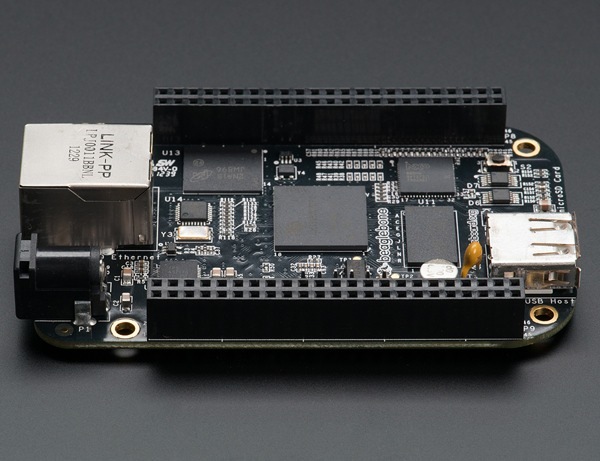 There is a “BeagleBone Gold” it’s called the “Beagleboard Xm” – the “big brother” of BeagleBone – has SD card slot and everything. You can download a complete Angstrom Linux image from web site which already has lots of kewl DSP software and Ham Radio apps on it which you don’t have to be a ham to play with. Google “BeagleBrick” for more details.